"Straight Outta Compton" went to the top of the charts this weekend with one of the biggest surprises of the summer box office. The debut of the Universal biopic made $60.2 million at the U.S. box office -- more than doubling its production budget of $29 million. Earlier estimates on Sunday put the figure at $56.1 million. The film, which tells the origins of the influential rap group N.W.A. against the backdrop of 1980s Los Angeles, exceeded expectations. It was originally projected to bring in closer to $25 million for its debut. "Compton" stars a predominately African-American cast and much of the film's opening success came from minority audiences. Nearly half, 46%, of the film's audience this weekend were African-American and only 23% were white, according to studio data. The musical biopic also represents the sixth No. 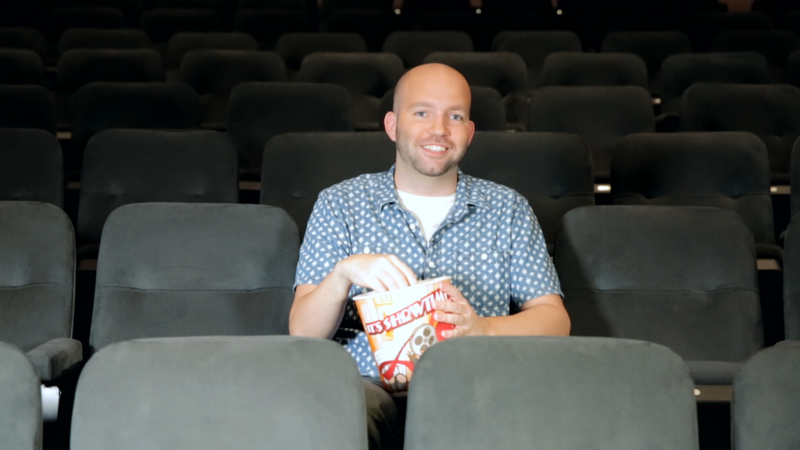 1 opening for Universal this year and the best R-rated August opening ever. The film was boosted by strong reviews from critics -- it currently holds a 88% score on review site Rotten Tomatoes -- and audiences who gave it a CinemaScore of A. 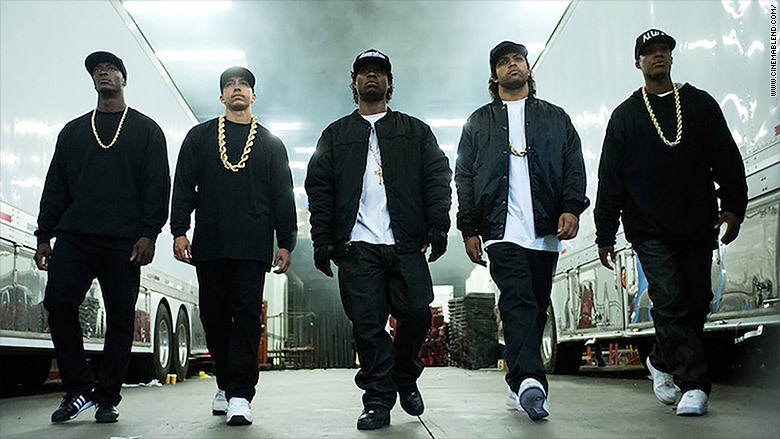 "Straight Outta Compton" tells the origin story of influential rap group N.W.A. and its members Dr. Dre, Ice Cube, and Eazy-E.
"'Straight Outta Compton' is for Universal yet another example of a perfectly realized distribution and marketing plan that brought an important story to the big screen," said Paul Dergarabedian, senior media analyst at Rentrak (RENT). "Not only did audiences clearly love the film, but critics were on board as well." The total is even more impressive considering that the film comes at the tail end of the summer season and stars relative unknown actors. The film also gained a good amount of buzz due to the timing of its release, which comes after a year of heightened tensions between African-Americans and law enforcement. This theme can be seen throughout the film as N.W.A. takes on the police in many of its landmark songs. Coming in at a distant second was Paramount's "Mission: Impossible - Rogue Nation" with $17 million. The spy thriller starring Tom Cruise has made nearly $140 million at the U.S. box office since it was released three weeks ago. As the Summer movie season nears its end, the weekend's overall box office was up roughly 2% from the same time last year.